When winter broke the campaign once again continued. 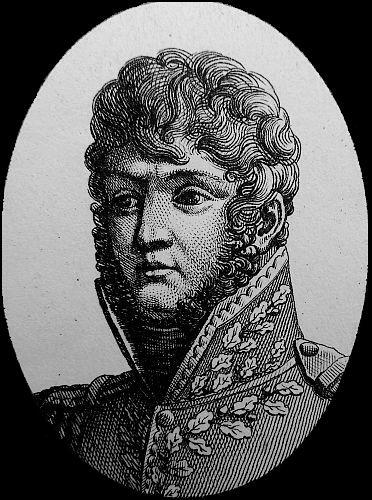 General Kalkreuth who was in command at Danzig, which had been under siege by General Lefebvre, would be Napoleon’s first priority. 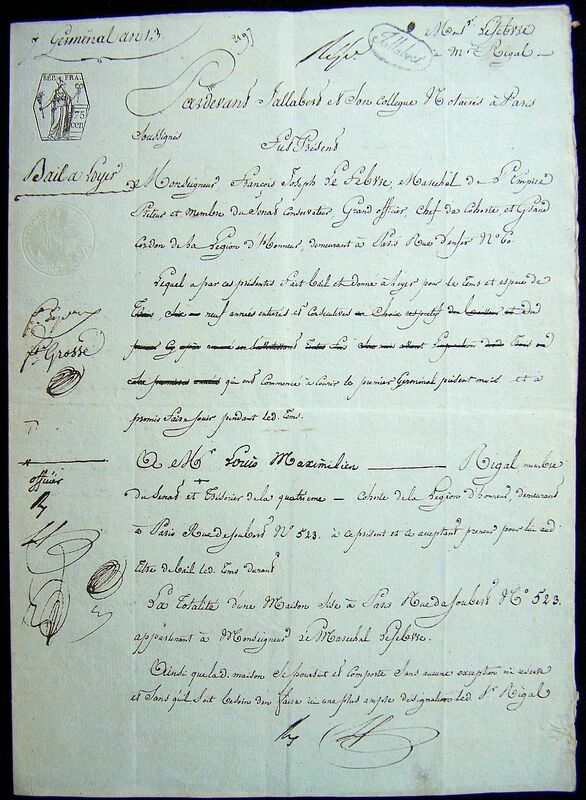 The 5th Corps was given to Massena while Lannes received the corps of reserve, which included Oudinot, Verdier, and Drouet. 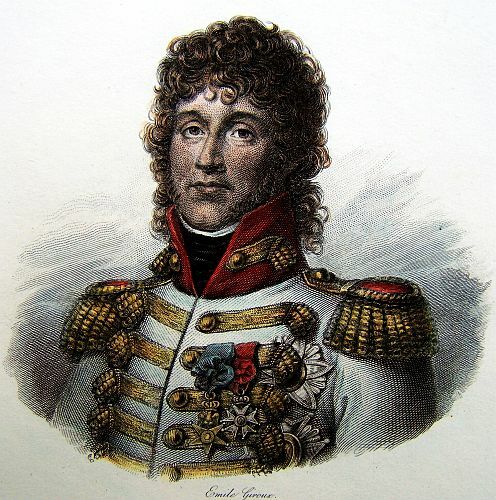 Napoleon ordered Lannes to aid Lefebvre at Danzig, but first he would have to contend with General Kamenskoi, who was marching with 8,000 Russian troops to reinforce Danzig. 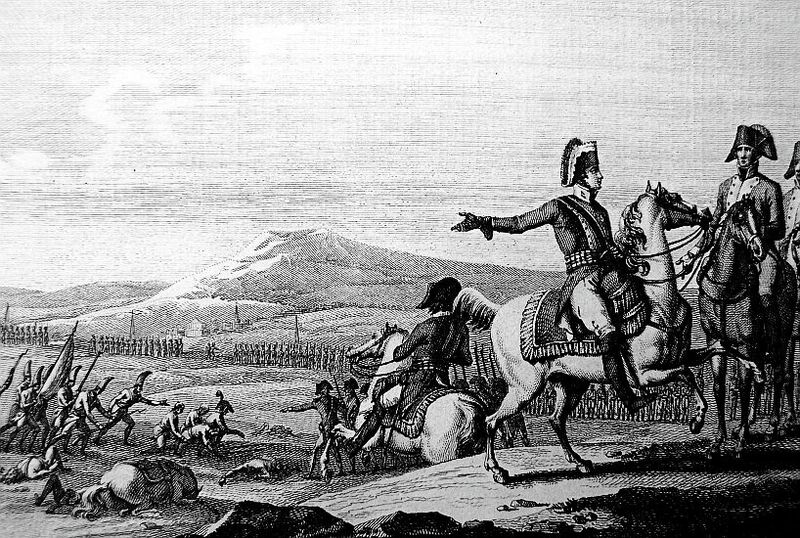 Lannes attacked Kamenskoi inflicting 2,000 Russian casualties, and the remaining Russians retreated. 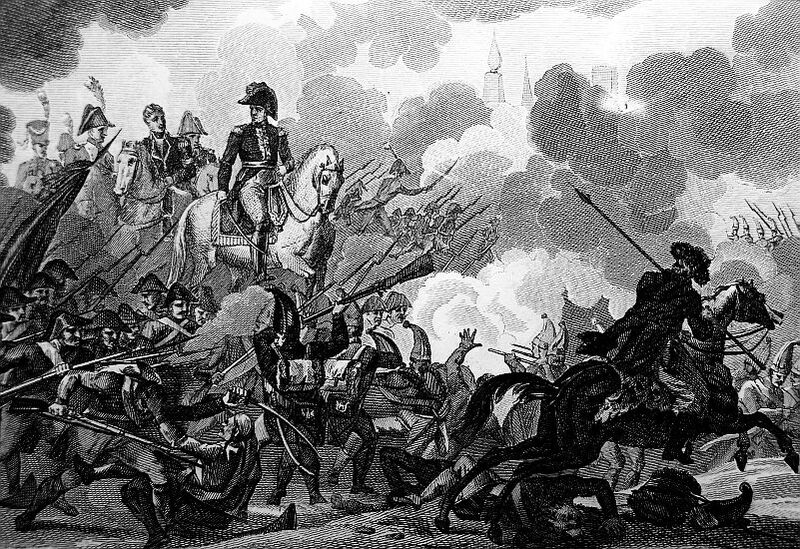 The defeat of Kamenskoi brought an end to the siege of Danzig. With Kalkreuth’s reinforcements defeated, he capitulated the city on the 21st of May 1807. Prince JEROME having discovered that three out-works of Neisse, alongside the Bielau, impeded the progress of the siege, ordered General VANDAMME to occupy them. 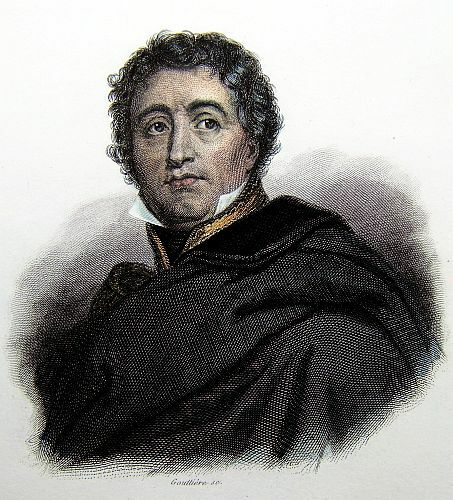 In the night from the 30th of April to the 1st of May, this General at the head of the Wurtemburgh troops, took the said works, put the enemy’s troops by whom they were defended to the sword, took 120 prisoners, nine pieces of cannon. The Captains of Engineers, DEPONTHON and PROST; were at the head of the columns, and gave strong proofs of bravery. The Lieutenants HOHENDORFF, BAWER, and MULHER, distinguished themselves in a particular manner. On the 2d of May, Lieutenant General CAMRER took command of the Wurtemburgh Division. It seems, that a Grand Council of War was held at Bartenstein, since the arrival in the Camp, of the Emperor ALEXANDER, at which the King of PRUSSIA and the Grand Duke CANSTANTINE assisted; that the dangerous situation of the city of Dantzic was the subject of the deliberations of the said Council, and that it was found, Dantzic could only be relieved in two ways; first, by attacking the French army, to cross the Passarge, and to take the chance of general engagement, the result of which (provided any advantage was obtained), would be, to compel the French army to raise the siege of Dantzic; the second, to throw succours into Dantzic from the sea-side. It seems that the first plan was deemed impracticable, unless the enemy would expose himself to be completely defeated and routed, it was therefore resolved to confine themselves to the other plan of relieving Dantzic by water. In consequence there of, Lieutenant General KAMINSKI, son of the Field Marshal, embarked at Pillau, with two Russian divisions, formed of twelve regiments, and several Prussian regiments. On the 12th, the troops were landed from sixty-six transports, under convoy of three frigates, in the port of Dantzic, under the protection of the Fort of Weichelmunde. 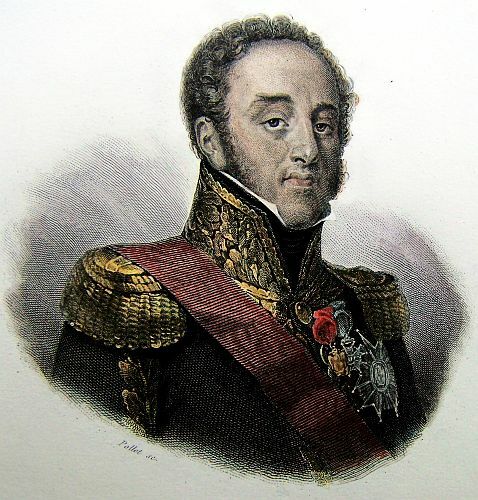 The EMPEROR immediately ordered Marshal LANNES, who commands the Reserve of the Grand Army, to advance from Marienburgh (where he had his head-quarters), with the division of General OUDINOT, to reinforce the army of Marshal LEFEBVRE. He arrived, after an uninterrupted march, at the very moment when the enemy’s troops were landing. On the 13th and 14th, the enemy made preparations for the attack. They were separated from the town by the distance of somewhat less than one league, but that part was occupied by the French troops. On the 15th, the enemy advanced from the fort in three columns, with an intention to penetrate to the town along the right bank of the Vistula. The General of Brigade SCHRAMM (who was at the advanced posts with the 2d regiment of light infantry, and one battalion of Saxons and Poles), received the first fire, and resisted the enemy at the distance of a cannon shot from Weichselmunde. Marshal LEFEBVRE had repaired to the bridge which is situated below on the Vistula, and ordered the 12th regiment of light infantry, together with the Saxons, to cross over that way, to support General SCHRAMM. 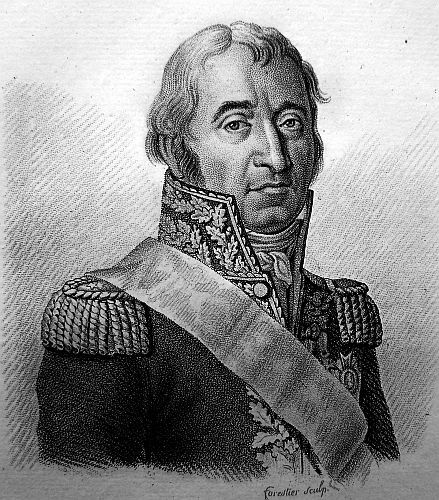 General GARDANNE, who was charged with the defense of the right bank of the Vistula, also pressed that way with the rest of his troops. The enemy was superior in numbers, and the contest was continued with equal obstinacy. 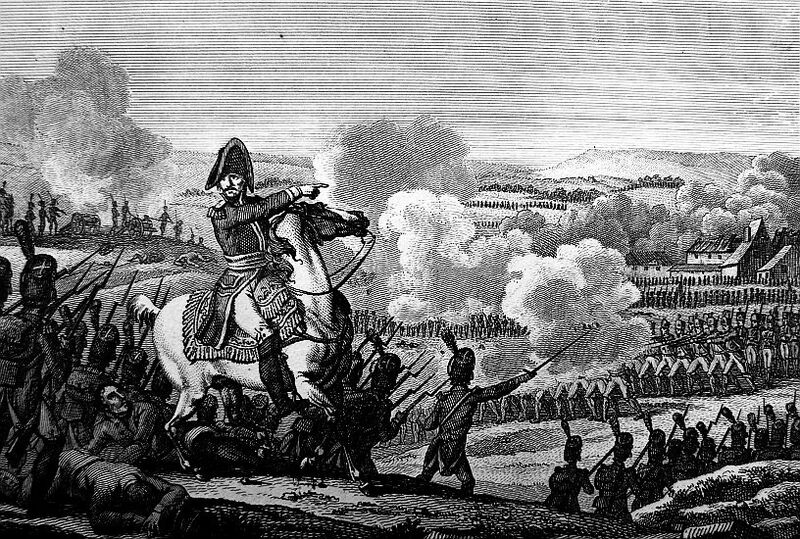 Marshal LANNES with the reserve of OUDINOT, was placed on the left bank of the Vistula, where it was expected, the day before, that the enemy would make his appearance; but when Marshal LANNES saw the movements of the enemy disclosed, he crossed the Vistula with four battalions of General OUDINOT’S reserve. The whole of the enemy line and reserve were thrown into confusion, and pursued to the palisades, and at 9 in the morning the enemy was shut in the fort of Weichselmunde. The field of battle was strewed with dead bodies. Our loss consists of 25 killed, and 200 wounded. The enemy’s loss is 900 killed, 1,500 wounded, and 200 taken. In the evening we could distinguish a number of wounded, which were embarking on board the vessels, the latter shearing of successively to return to Koningsberg. From the town no sally was made during this affair, and no more was done from the quarter than to support the Russians with a heavy cannonade. The enemy, from the height of his demolished and almost destroyed ramparts, was witnessed to the whole action. He was dejected, on seeing the hopes vanishing which he had formed of receiving succour. 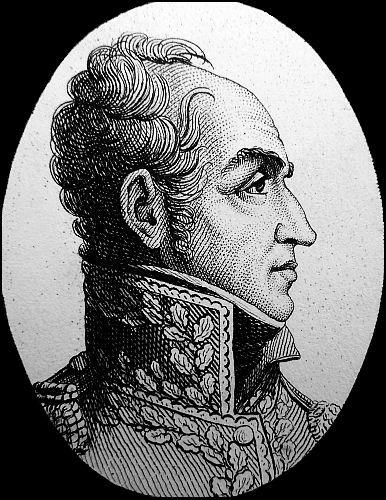 General OUDINOT has killed three Russians with his own hand. Many Officers of his Staff are wounded. The 12th and the 2d regiment of light infantry have distinguished themselves. The particulars of the action were not yet received at headquarters. It will appear from the journal of the siege of Dantzic, that the works are carried on with equal activity, that the covered was is completed, and that we are occupied with preparations for passing the ditch. 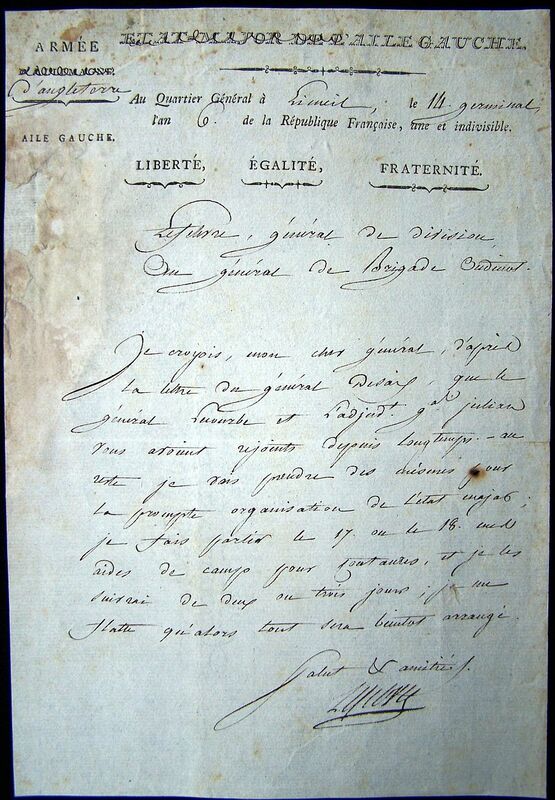 As soon as the enemy knew that his maritime expedition had arrived before Dantzic, his light troops began to reconnoitre and alarm the whole line, from the position occupied by Marshal SOULT, on the Passarge, to that of General MORAND, upon the Alle. They were received at the mouth of the musket by the Voltigeurs, lost a considerable number of men, and retired with more precipitation than they came. The Russians also presented themselves at Malga before General ZAYONCHER, the Commandant of the Polish corps of observation, and carried off one of his posts. 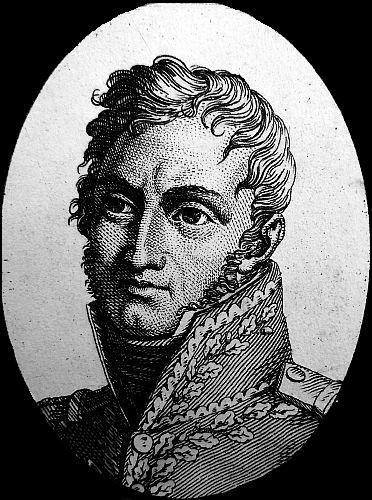 The General of Brigade FISCHER pursued, routed them, and killed 60 men, one Colonel, and two Captains. They likewise presented themselves before the fifth corps, and insulted General GAZAN’S advanced posts at Willenberg. The General pursued them several leagues. But they made a more serious attack upon the bridge of Omelew and Drenzewo. The General of Brigade GIRARD marched against them with the 88th, and drove them into the Narew. General SUCHET arrived, pursued the Russians closely, and defeated them at Ostrolenka, where he killed sixty men, and took fifty horses. 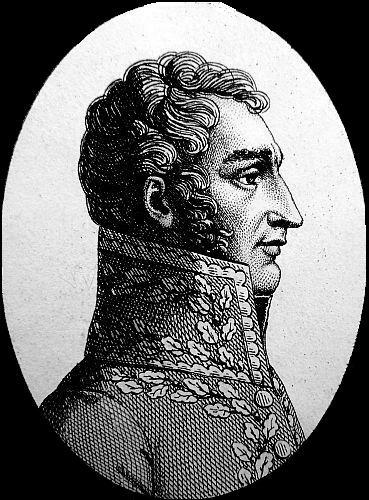 LAURIN, Captain of the 64th, who commanded a head-guard, surrounded on all sides by the Cossacks, made the best resistance, and deserves to be distinguished. Marshal MASSENA, at the head of a brigade of Bavarians, had reason to be satisfied with the zeal and good behaviour of the troops. On the same day, the 13th, the enemy attacked General LEMARROIS, at the mouth of the Bug. 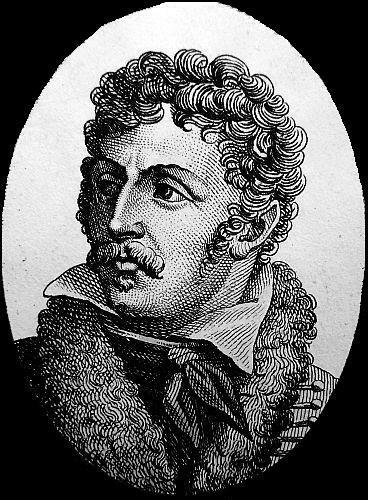 This General had passed that river on the 10th, with a Bavarian brigade, and a Polish regiment, who, in the course of three days, had constructed several tetes-du-pont, and had advanced to Wiskowa, with the intention of burning the rafts which the enemy had been at work upon during six weeks. This expedition completely succeeded, and the ridiculous work of six weeks was destroyed in a moment. On the 13th, at nine in the morning, 6,000 Russians arrived at Nar, and attacked General LEMARROIS in his entrenched camp. As soon as the General saw that the enemy, who was upon the borders of the ditch, was repulsed, he made a sortie, and pursued him sword in hand. The Colonel of the 4th Bavarians, a brave soldier, was killed. He is universally regretted. The Bavarians lost 20 men; and had 60 wounded. All the army is encamped in divisions of square battalions, in very whole some situations. These affairs of advanced post have not occasioned any movement in the army. Every thing is quiet at the head-quarters. This general attack upon our advanced posts seems to have had no other subject than to occupy the French army, so as to prevent them from reinforcing the troops employed in the siege of Dantzic. 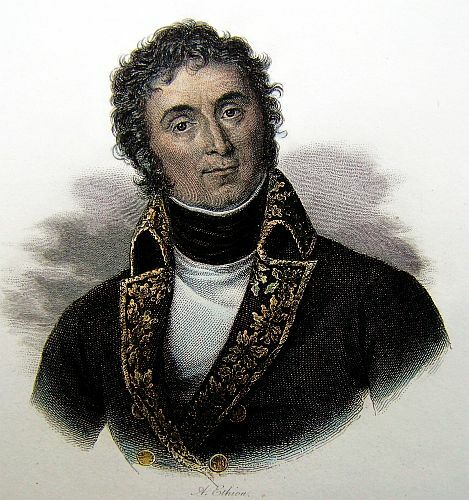 The hopes of succouring Dantzic, by means of a maritime expedition, appears very extraordinary to well informed military men, acquainted with the ground and the position occupied by the French army. The leaves begin to appear; and the season resembles the month of April in France. The following are further particulars relative to the affair of the 15th. 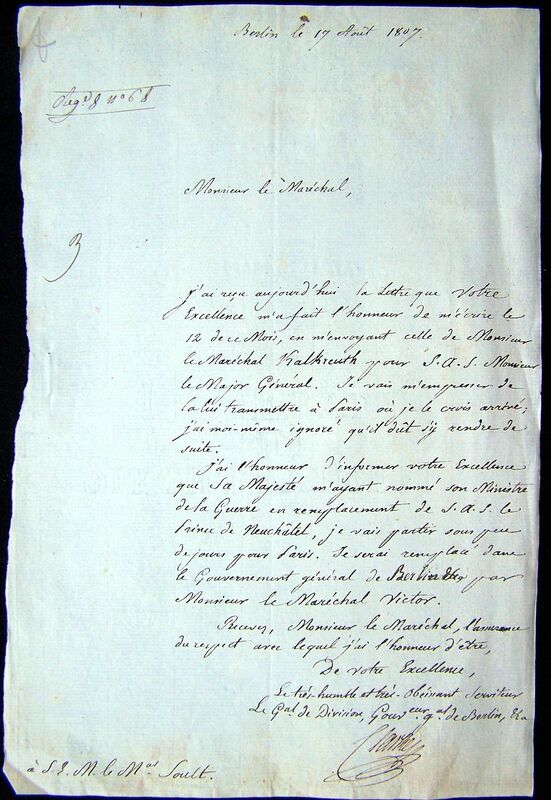 Marshal LEFEBVRE makes a very favourable report of General SCHRAMM, to whom he, in a great measure, imputes the favourable issue of the affair at Weichselmunde. On the morning of the 15th, at two o’clock, General SCHRAMM had formed in order of battle, covered by two redoubts, thrown up opposite the fort of Weichselmunde. He had the Poles on the left, the Saxons in the centre, and the Regiment of Paris in reserve. The Russian General KAMENSKI sallied from the fort at day-break, and after two hours fighting, the 12 regiment of light infantry, sent by Marshal LEFEBVRE from the left shore, and a battalion of Saxons, decided the victory. Scarcely a battalion belonging to OUDINOT’S corps, had any occasion to take part in the action. Our loss is very trifling. M. PARIS, a Polish Colonel, was killed. The loss of the enemy is greater than we supposed. We have buried 900 Russians. We cannot reckon their loss at less than 2,500 men. We observed no more movements on the part of the enemy, who seemed to confine himself very prudently within the circuit of the works. The number of vessels sent off with the wounded was fourteen. The EMPEROR has issued a decree for making every person who distinguished himself on this occasion, a member of the Legion of Honour: they are about thirty in number. 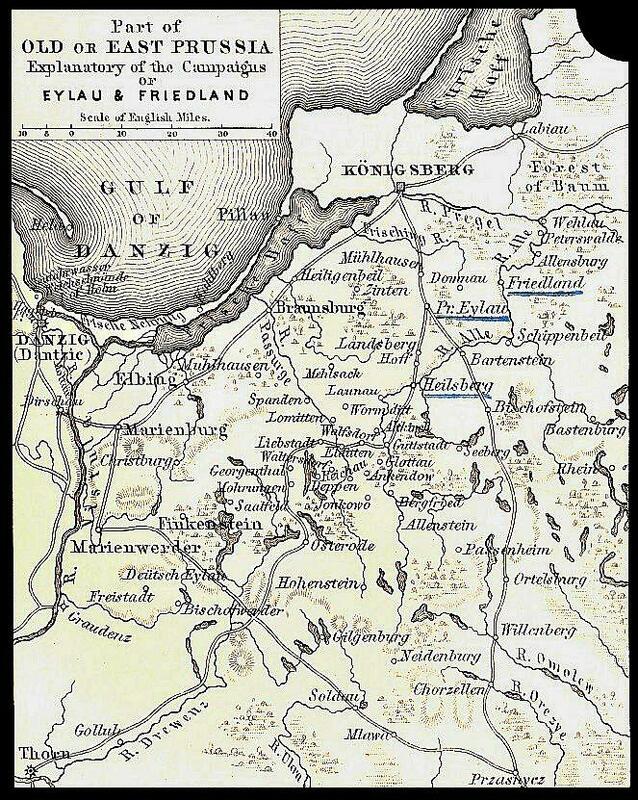 On the 14th, a division of 5,000 men, mostly Prussians, from Kiningsberg, landed on the Nehrung, and advanced against our light cavalry as far as Kahlberg, who thought proper to fall back upon Furstenwerder. The enemy advanced to the extremity of the Frisch Haff. We expected they would have penetrated from thence to Dantzic. A bridge thrown over the Vistula at Furstenwerder made the passage easy for our troops cantoned in the Island of Nogat, so that the infantry might have attacked the enemy’s rear; but the Prussians were too wary to proceed. The EMPEROR ordered General BEAUMONT, Aide-de-Camp to the Grand Duke of BERG, to attack them. On the morning of the 16th, at two o’clock, the General of Brigade ALBERT advanced, at the head of two battalions of grenadiers of the reserve, the 3d and the 1st regiments of chasseurs, and a brigade of dragoons. He met the enemy about day-break, between Passenwerder and Stege, attacked him, routed, and closely pursued it 11 leagues, made 1100 prisoners, killed and wounded a great number, and took four pieces of cannon. General ALBERT distinguished himself on this occassion, as did also Majors CHEMINEAU and SALMON. The 3d and the 11th regiments of chasseurs shewed great intrepidity: a Captain of the 3d and nine men were killed, and eight or ten wounded. Two of the enemy’s brigs, cruizing in the Haff, approached to annoy us; a howitzer that struck one of them upon the deck made them get under way. Thus the enemy has suffered considerable losses, at various points, since the 12th. On the 17th, the EMPEROR caused the Fusiliers of the guard to manoeuvre: they are encamped near the Castle of Finkenstein in barracks, equally as handsome as those at Boulogne. On the 18th and 19th, the Imperial Guard encamped upon the same spot. Prince JEROME is encamped in Silesia, with a Corps of Observation, covering the siege of Neisse. On the 12th, the Prince learned, that a column of 3,000 men had left Glatz, to surprise Breslau. He ordered General LEFEBVRE to advance with the 1st Bavarian regiment, and a detachment of 300 Saxons. In the morning of the 14th, the General came up with the enemy’s rear near Cauth, which he immediately attacked, made himself master of the village with the bayonet, and took 150 prisoners. One hundred of the Bavarian light cavalry fell upon those of the enemy, 500 in number, routed and dispersed them. The enemy again formed in order of battle, and offered resistance. Three hundred Saxons fled; this extraordinary conduct must have been the effects of disaffection, as the Saxons have always behaved with valour ever since they joined the French. However, this unexpected event brought the first Bavarian regiment into a very critical situation. They lost 150 men, who were made prisoners, and they were compelled to beat a retreat, which they effected in good order. The enemy retook the village of Cauth. 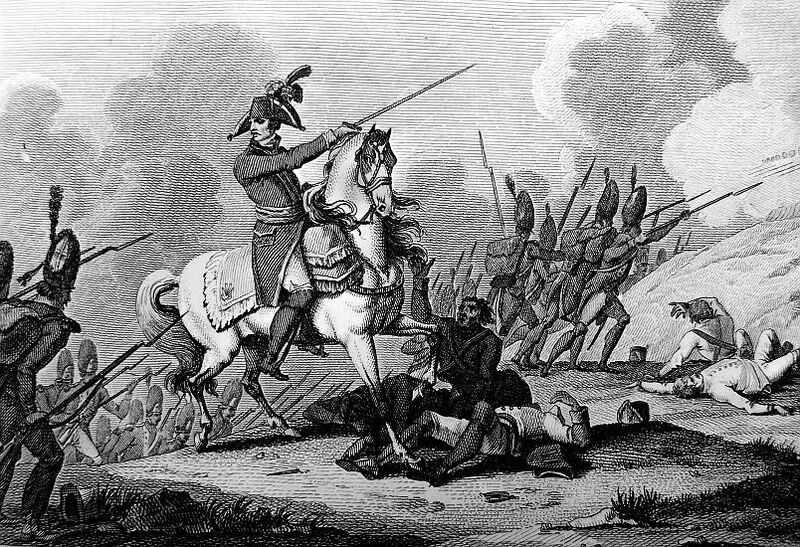 In the morning, at eleven o’clock, General DUMUY, who had advanced from Breslau with 1000 French dismounted dragoons, hussars, and chasseurs, attacked the enemy in the rear: 150 of the hussars retook the village, after a charge with the bayonet, made 100 prisoners, and liberated all the Bavarians made prisoners by the Prussians. The enemy, in order to facilitate his retreat to Glatz, had separated in two columns. General LEFEVRE, who left Schweidnitz on the 15th, fell in with one of these columns, killed 100, and made 400 prisoners, including 30 Officers. A Polish regiment of lancebearers had arrived on the preceding evening at Frankenstein; and a detachment of these being sent to join General LEFEVRE, by Prince JEROME, distinguished themselves on this occasion. The second column endeavoured to regain Glatz, by passing the Silberberg. 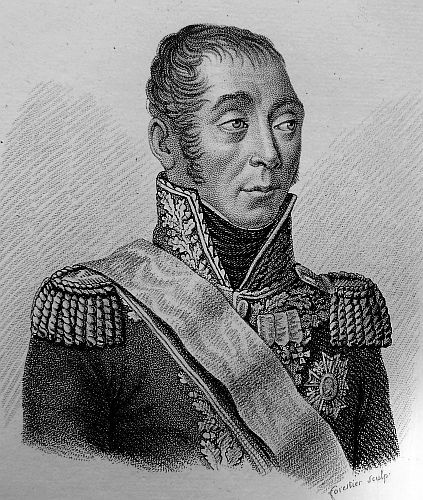 Lieutenant General DUCOUDRAIS, the Prince’s Aid-de-Camp, fell in with them, and threw them into disorder. Thus a column of between 3,000 and 4,000 men, that left Glatz, was unable to return. They have been either killed, made prisoners, or dispersed. A fine English corvette, copper-sheathed, having 120 English for her crew, and laden with powder and ball, presented herself off Dantzic, with an intention to enter that port. On approaching near our works, she was attacked from both the shores with a heavy shower of musketry, and forced to surrender. 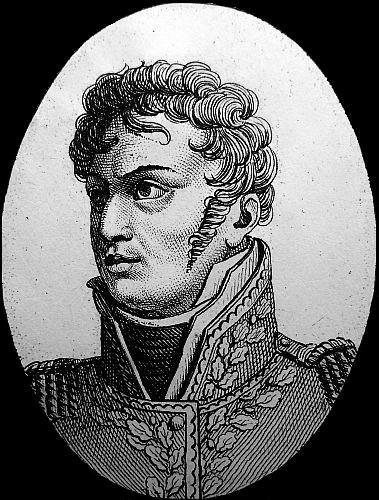 A piquet of the Regiment of Paris was the first to leap on board. 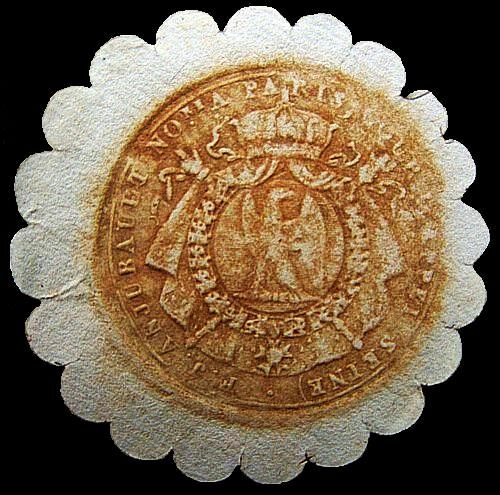 An Aide-de-Camp of General KALKREUTH, who was on his return from the Russian head-quarters, and several English Officers, were taken on board the vessel. She is called the Undaunted, and had 60 Russians on board, besides the 120 English. The enemy’s loss in the affair of Weichselmunde, on the 15th, was greater than was at first supposed. 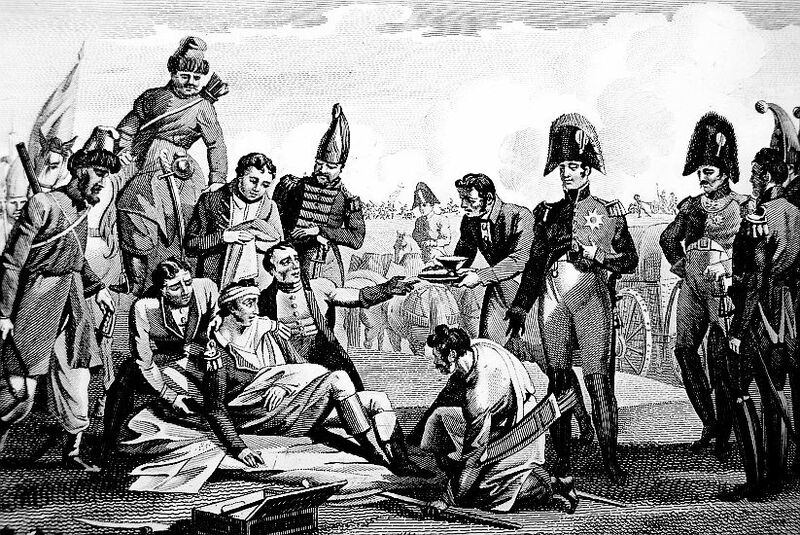 A Russian column, which held out to the last, was put to the bayonet to a man. There were 1,300 Russians buried. On the 16th, a Russian division of 6,000 men, under General TURKOW, advanced from Brock to the Bug, and towards Pultusk, with a view to prevent the execution of some new works for strengthening the tete-du-pont. These works were defended by six Bavarian battalions, under the command of the CROWN PRINCE in person. The enemy advanced four times to the attack, and were four times repulsed by the Bavarians, and covered with grape-shot from the batteries of the different works. 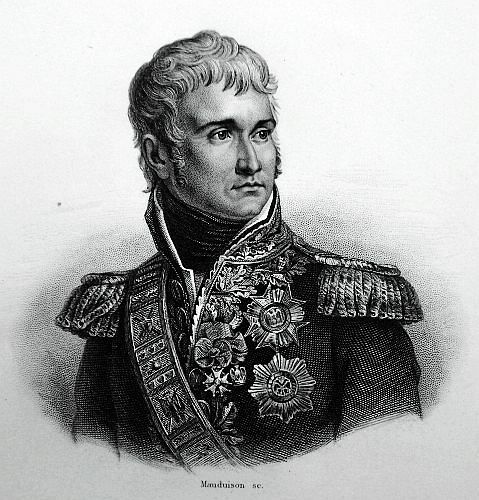 Marshal MASSENA estimates the enemy’s loss at 300 killed, and twice as many wounded. And what renders the conflict still more glorious is, that the Bavarians were not quite 4,000 strong. The CROWN PRINCE commends, in particular, the Bavarian General Baron WREDE, an officer of conspicuous merit. The loss of the Bavarians amounted to 15 killed, and 150 wounded. 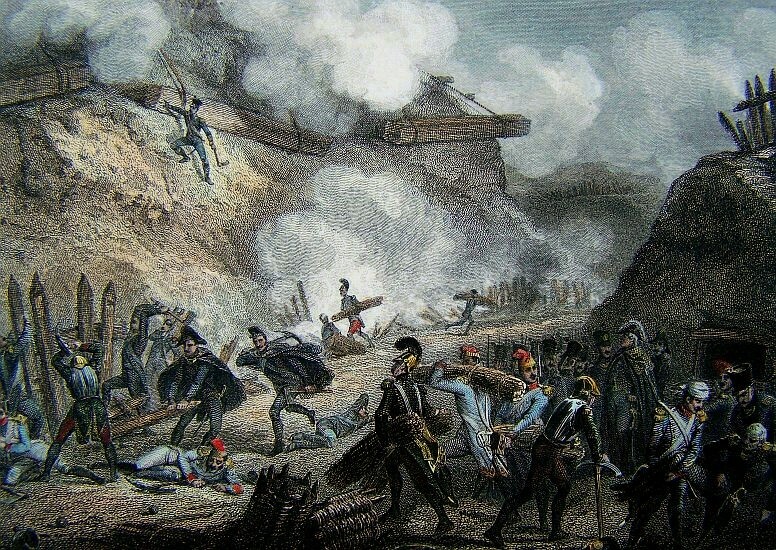 The same mismanagement, as in the attack of the 6th at Pultusk, was displayed in that which the enemy made on the 13th, against the works of General LEMARROIS; nor was their want of judgment less conspicuous in the preparation of a great number of rafts, which the enemy were preparing on the Bug for these six weeks past. The result was, that those rafts which took them so long in preparation, were burnt in two hours time; and that those repeated attacks upon the works well contrived, and defended by strong batteries, without a chance of success, have produced them a considerable loss. We are almost induced to think, that the purpose of these attacks, was to draw the attention of the French army to their right wing. But the position of the army was calculated, by anticipation, for every case, and for all chances of attack and defense. In the mean while, the important siege of Dantzic is continued. The loss of that important fortress, and of the 20,000 men shut up within the same, will be severely felt by the enemy. A mine, which was contrived near the outer bastion, had the effect of blowing it up. A communication has been opened with the covered way by four entrances, and we are employed in filling up the ditch. This day the EMPEROR reviewed the 9th Provisional Regiment. The first eight of those regiments have already been embodied. The Genoese conscripts among these regiments are much extolled for the readiness and zeal displayed by them. Dantzic has capitulated. That fine city is in our possession. Eight hundred pieces of artillery, magazines of every kind, more than 500,000 quintals of grain, well-stored cellars, immense collections of clothing and spices; great resources of every kind for the army, lastly a place of the first order for strength on our left wing, as Thorn supports our centre, and Praga our right; these are the advantages obtained during winter, and which have signalized the leisure hours of the Grand Army; this is, indeed, the first fruit of the victory of Eylua. The rigour of the season, the snow which so often covered our trenches. The ice which has added fresh difficulties, have afforded no obstacles to our operations. Marshal LEFEBVRE has braved all; he has animated with the same spirit, the Saxons, the Poles, the troops of Baden, and has made them all conduce to his aid. The difficulties which the artillery had to conquer were considerable. One hundred pieces of artillery, 5 or 6,000 pounds weight of powder, and an immense quantity of bullets have been drawn from Stettin, and the strong places in Silesia. It was necessary to surmount many difficulties in removing the artillery, but the Vistula afforded easy and expeditious means. The Marines of the Guards have passed their boats under the fort of Graudentz with their accustomed skill and resolution. General CHASSELOUP, General KINGENER, Colonel LACOSTA, and in general all the Officers of the Engineers, have served in the most distinguished manner. The Sappers have shewn an uncommon degree of intrepidity. 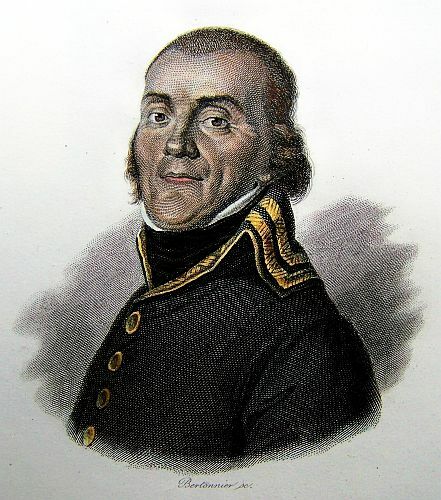 The whole corps of Artillery, under General LA RIBOISSIERE, has sustained its reputation. The 2d Regiment of Light Infantry, the 12th, and the troops of Paris, with Generals SCHRAMM and PUTHOD, have distinguished themselves. 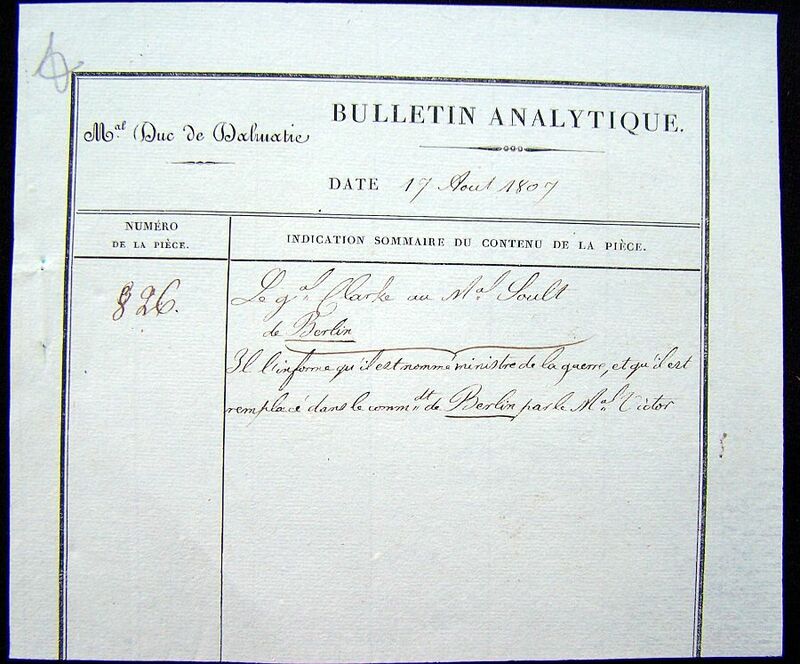 A detailed journal of the siege will soon be drawn up with care. It will consecrate a great number of acts of bravery, worthy of being exhibited as examples, and such as must excite enthusiasm and admiration. On the 17th, the mine blew up a block house, attached to the guard house on the covered way. On the 19th, the descent and passage of the fosse were executed at 7 o’clock in the evening. 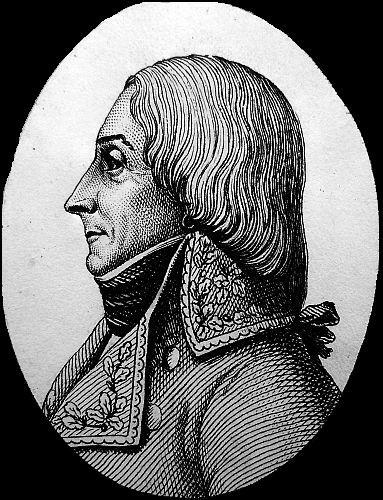 On the 21st, Marshal LEFEBVRE having prepared every thing for the assault, they were proceeding to the attack when Colonel LACOSTI, who had been sent in the morning into the place upon some business, signified that General KALKREUTH demanded to capitulate on the same conditions that he had formerly granted to the garrison of Mayence. This was agreed to. The Hagelsburgh would have been stormed with little loss, but the body of the place was yet entire. A large fosse, full of running water, presented such difficulties that the besieged might have held out for fifteen days longer. In this situation it appeared proper to grant them a honorable capitulation. On the 27th, the garrison marched out, with General KALKREUTH at its head. This strong garrison, which at first consisted of 16,000 men, was reduced to 9,000 men, of which number four thousand have deserted. Among the deserters there are even officers. “We will not,” they sat, “go to Siberia.” Many thousands of artillery horses have been given up to us, but they are in very bad condition. They are now drawing up inventory of the magazines. General RAPP is named Governor of Dantzic. The Russian Lieutenant General KAMENSKY, after having been beat on the 15th, retired under the fortifications of Weichselmunde. He remained there without venturing to undertake any thing; and he has been a spectator of the surrender of the place. When he perceived that they were erecting batteries, to burn his ships with red-hot balls, he embarked and retired. He has returned to Pillau. The fort of Weichselmunde still held out. 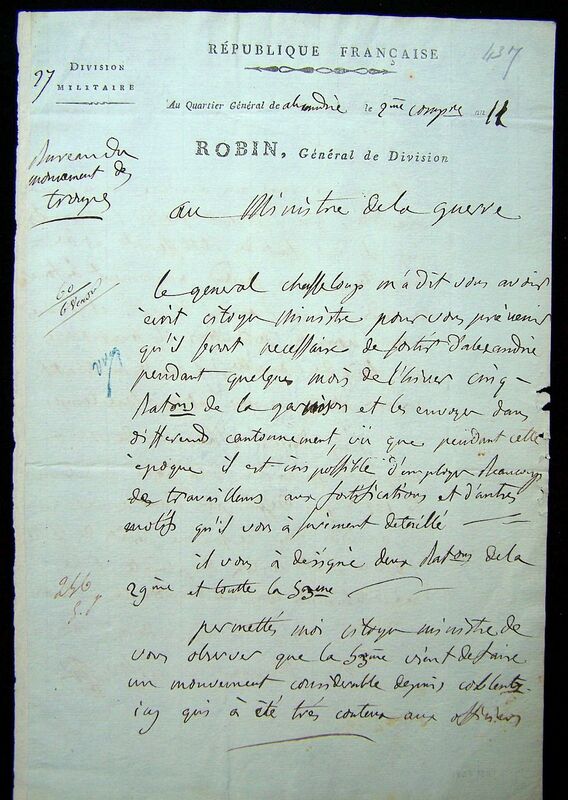 Marshal LEFEBVRE summoned it on the 26th, and while they were regulating the terms of capitulation, the garrison advanced from the fort and surrendered. The Commandant, thus abandoned by the garrison, saved himself by sea, and thus we are in possession of the town and port of Dantzic. These events are a happy presage of the campaign. The Emperor of RUSSIA, and the King of PRUSSIA, were at Heiligenbeel. They might have conjectured the surrender of the place from the cessation of the fire. They might have heard the cannon from that distance. The EMPEROR, to express his satisfaction to the besieging army, has granted a present to each soldier. The siege of Graudentz is now commencing under the command of General PICTON. 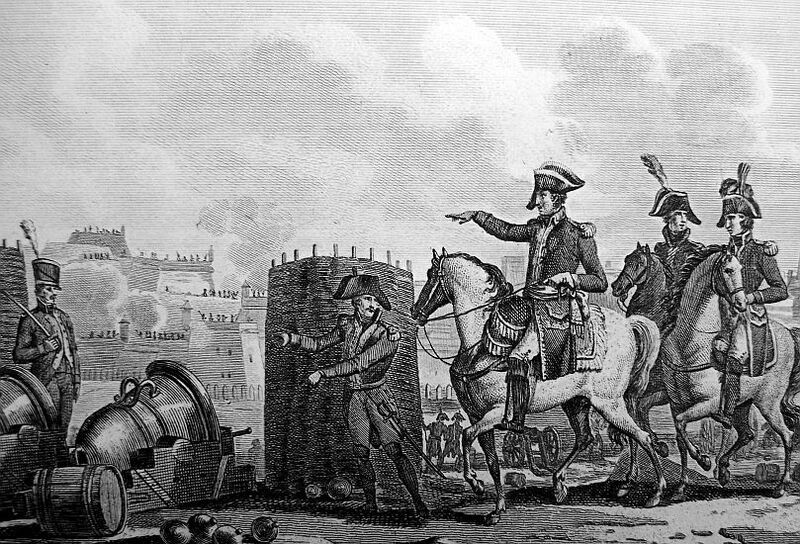 General LAZOWSKY commands the engineers; and General DANTHOUSARD the artillery. Graudentz is strong from the number of mines. The cavalry of the army is in fine order. The division of light cavalry, two divisions of cuirassiers and one of dragoons have been reviewed at Elbing, on the 26th, by the Grand Duke of BERG. On the same day, his MAJESTY arrived at Bishoverden and Stalsburgh, where he reviewed HAUPOULT’S division of cuirassiers, and the division of dragoons of General GROUCHY. He has been satisfied with their appearance and with the good condition of their horses. The Ambassador of the Porte SEID MOHAMMED EMEN VAHID, has been presented, on the 28th, at two o’clock, to the EMPEROR, by the Prince of BENEVENTO. He delivered his credentials to his MAJESTY, and remained an hour in his Cabinet. He is lodged at the Castle, and occupies the apartments of the Grand Duke of BERG, who is absent on account of the review. It is confidently said, that the EMPEROR told him that he and the Sultan SELIM would be, for ever after, inseparably connected as the right hand and the left. All the good news respecting the success at Ismail and in Wallachia have just arrived. The Russians have been obliged to raise the siege of Ismail and evacuate Wallachia.